At Integrity Saw & Tool, we’ve always made a mission of evolving with our customers. Sometimes that commitment to growth can be very literal. Take our recent move to a significantly larger facility, for instance. That’s right. After 18 years on Rolling Meadows Drive, we’re pleased to unveil our new 18,000-square-foot climate-controlled space at 217 E. Larsen Drive in Fond du Lac. The new facility not only gives us the room we need to grow with our customers, but it’s also more conducive for manufacturing and running a lean operation. Because climate control plays a critical role in tight-tolerance precision grinding, IST will be even more accurate and consistent with our grinding. Of course, some things haven’t changed. We’re still ISO 9001-2008 certified. We continue to use state-of-the-art technology to create and inspect our products. (Tool certification is available upon request.) 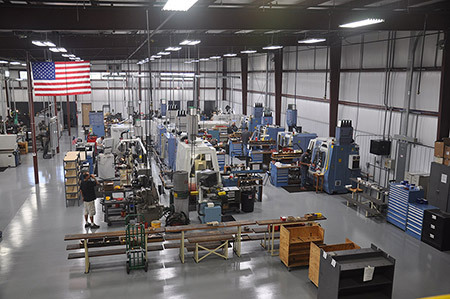 Our CNC operators are highly skilled, and our tooling engineers are always standing by to assist our customers. We still offer pickup and delivery service, and requests for quotes are answered in 24 to 48 hours. 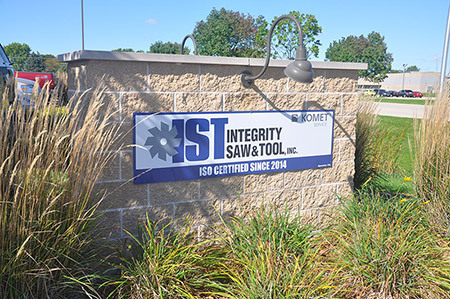 If you want to see Integrity Saw & Tool’s new facility, please feel free to schedule a visit. We’re eager to show it off — and to show you what we’re capable of!